FALLACIES OF PRESUMPTION Arguments that make unwarranted assumptions about either the data or the nature of a reasonable argument. Fallacies of Presupposition Arguments that contain hidden assumptions that make them unreasonable. 15. Begging the Question (petitio principi) Arguments that assume the very same thing that one is trying to prove. 16. Bifurcation (False dilemma) Arguments that frame the debate such that only two options are possible, when other possibilities may exist. 17. Fallacy of Moderation Arguments that assume the correct answer is always the middle ground or a compromise between two extremes. 18. Is-Ought Fallacy Arguments that assume that just because something is a certain way, it ought to be that way. 19. Fallacy of Composition Arguments based on a hidden assumption that the properties of the whole will be the same as the properties of the parts. 20. Fallacy of Division Arguments that are based on the hidden assumption that a collective whole determines that all of its parts will be like the whole. 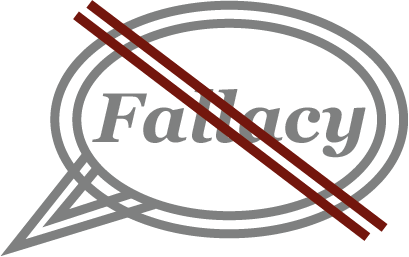 Fallacies of Induction Arguments that misuse empirical data or don’t follow proper methods of inductive reasoning. 21. Sweeping Generalization (Accident) Arguments that overextend a generalization to include facts or cases that are exceptions to it. 22. Hasty Generalization (Converse Accident) Arguments that make a generalization on the basis of too few samples. 23. False Analogy Arguments that fail because they create an analogy between things that are not similar enough to warrant an analogy. 24. False Clause Arguments that are based on a weak cause-and-effect connection. 25. Fake Precision Arguments that use numbers or statistics in a way that is too precise to be justified by a situation.